Many students are looking forward to the beginning of spring semester. They are hanging their hopes on earning a college degree, or graduate degree, that will help them get a job that will bring them stability, income, and a sense of pride. Too many of them will not achieve these things through college. As we all know, college costs are going up while the return on investment (ROI) of college is decreasing. How many of us attended college, worked our butts off academically, graduated, and ended up in a job that has nothing at all to do with what we studied in college? Exactly! Why, then, do we still encourage our students to attend a school that will load them up with student loan debt while not provide them with a way to pay it off? Instead, why don’t we encourage students according to their interests. For example, I have no idea why I went to college. Somewhere along the line I heard so many commercials for college that I started to believe that the only way to get out of poverty, because I grew up in, around the corner from, and was best friends with poverty, was to attend college, graduate, and get a fabulous job. No one told me that college costs are exorbitant and all jobs are not equal. Don’t get me wrong. I learned some great things in college: time management, networking, which fast food chain has the best $1 sandwich, but none of those things helped me get a job that paid more than $30,000. I know, I know.. if I would have gone into accounting, engineering, etc. I would have easily cleared that low threshold. 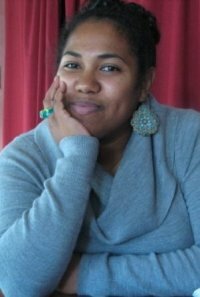 My stumbling block was that I wanted to help my community. After working for several companies, in a few states, I realized that what I really wanted to do was share the lessons I learned in the School of Hard Knocks with others in hopes that they wouldn’t make the same mistakes. It was a revelation! All those times I got in trouble in school for talking, laughing, acting, etc. were actually preparing me for a great career that I love. How much time, and money, would I have saved if I had been encouraged to do what earlier? I’m not saying that college is bad. I’m not saying that we shouldn’t encourage students to pursue a college education. What I am saying is maybe we should encourage students to look at themselves and decide what strengths they have before we encourage everyone to attend a traditional 4 year college. Maybe some students would be better suited at a 2 year. Maybe some students would be better suited learning a trade. Let’s start applying some critical thinking skills to what the value of college really is. 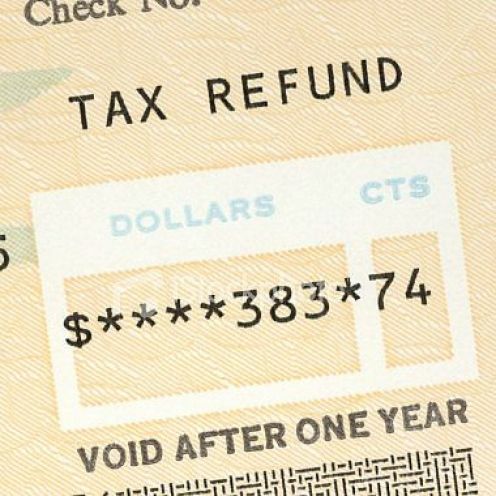 Every tax season I see ads suggesting that getting a same day refund is an awesome way to start off the tax season. Nothing could be further from the truth. 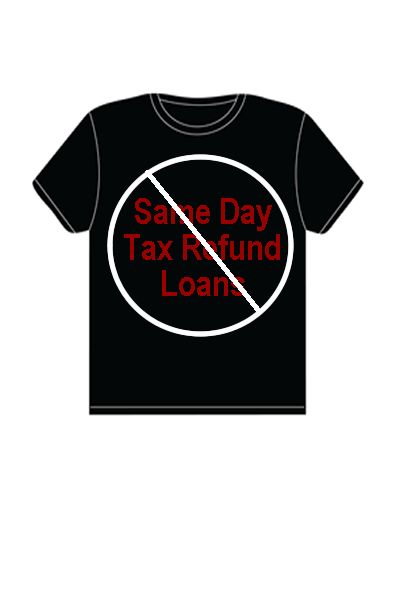 Same day tax refund are loans. Let’s be clear. The reason that tax preparers are so anxious to “help” you get your tax refund the same day because 1) you are taking out a loan with a very high interest rate and 2) they get a piece of that loan. Don’t be fooled by all the marketing and smiles of the people trying to sell you on same day tax refunds. There is no reason you need to spend money to get the money the government has used interest free all year. It doesn’t make sense if you say it out loud, “I’m going to pay ___(insert company name)____ $_(insert fee amount)____ to get the money that the government owes me”. Filing electronically is safe, fast, and may be free. Find out if you are able to have your tax return prepared for free. If you’re filing a 1040EZ or 1040 it’s entirely possible that you can have someone help you file electronically and have your refund deposited directly into your credit union or bank account. Your money will be deposited quickly, safely, and in full. Why waste upwards of $50 of your hard earned money to get your refund a week or two early? A favorite topic of mine is the concept of agency, especially with the working poor. Too many times I’ve spoken with people that get up at the crack of dawn to work a menial job then follow up a full day’s labor with yet another low paying job in the afternoon/evening and they will not agree that there is much they can do to change their lives. There is an idea that the social, financial, and governmental systems that meter their lives are incapable of being changed, amended, and/or disrupted by people in their position. What?! As the saying goes, “power is never given, it is taken”. I honestly don’t understand why the working poor don’t put up more of a fight to understand, and change, these systems. The first step is to learn all you can about credit, debt, taxes, investing, etc. You can’t manage or change what you don’t understand. The second step is to become an advocate for yourself, your family, and your community. For example, make sure that you are paying a fair price for things, make sure that you are shopping around for the best loans for your credit history, ask questions and make sure you get answers before you sign any documents. Next, vote according to what makes the most sense for you and your family. Don’t become swayed by flashy t.v. commercials or slick talking politicians. The government works for us, the people. The decisions the politicians make effect you in your daily life more than you think. Lastly, share what you know with anyone that asks. Make sure that you pass on the knowledge and practice of that knowledge to your children and others in your community. There is strength in numbers and power in accumulated knowledge. It is your responsibility to manage your financial life. If you can’t pay your rent, maybe you need to change your spending habits. If you tend to have ongoing problems paying your rent, maybe you need to move to a cheaper place. We have to take responsibility for our own financial habits. It’s not anyone’s fault but your own if you’re up to your ears in debt. I’m not saying this to be cruel, however sometimes the truth is difficult to hear. The first step to changing your behavior is admitting that there is a problem. Like any habit, some things can be changed through our own force of will while others require the assistance of trained professionals as well as a support system of people that will lend an ear. If you think that you may need a little help changing your spending behaviors you may want to check out Debtors Anonymous. Think about your financial situation and ask yourself these 15 questions. If you answered, “yes” to more than 8 of them then you may need some help. The journey of 1,000 miles starts with one step. I was asked to write an article for USC’s The South Los Angeles Report and I did. Take a look at 10 suggestions to help you start out 2010 on the right financial foot. Ready to do some work on your finances? Buy Money Matters: The Get It Done in 1 Minute Workbook on Amazon.com. I firmly believe that each of us has a right and a responsibility to manage our money well. I also believe that the financial services industry has an obligation to present the information in a way that makes it easy for the average person to understand. If you’re working with people in the financial services industry that can’t explain what’s going on in a way that you can understand, get someone that can. Money management is easy. I’ve signed on to be one of the speakers at Cultivating the 8 Habits of Women of Faith. It will be held Saturday, March 27th from 10am to 2pm at Greater Mt. Olive Baptist Church C.O.G.I.C. in Los Angeles. I’m really looking forward to speaking with women about how we can improve our financial lives. I’ll also have a table where participants can purchase a copy of my new book, Money Matters: The Get It Done in 1 Minute Workbook. I spoke at an event for the Sankofa Single Fathers group at Greater Mt. Olive last year.